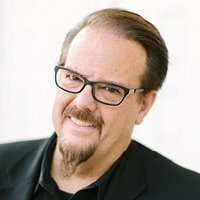 Hosted by Ed Stetzer, a well-known author, speaker, teacher and pastor, the program will tackle today’s cultural trends and issues facing the Church and Christians. He will take calls from listeners, and invite special guests and topical experts each week. The program will be heard live across Moody Radio’s network of stations, select affiliates, and network stream as well as through the iPhone and Android apps on Saturdays, from 11 a.m. to noon (CT). While serving as the interim pastor of The Moody Church in Chicago, Stetzer also holds the Billy Graham Chair of Church, Mission, and Evangelism at Wheaton College and is the Dean of the School of Mission, Ministry, and Leadership. In addition, he is the Executive Director of the Billy Graham Center. He has earned two master’s degrees and two doctorates, and has written or co-written a dozen books and hundreds of articles. He and his wife, Donna, have been married more than 25 years and have three daughters.